I've written previously about how racial stereotypes and assumptions can be hurtful or irritating and harmful to your career or health. However, when the people who make snap judgments are armed and fearful, such assumptions can be dangerous to your life. We see white cops do this with black people on a regular basis. But police are not separate from their community, but a part of it. The ultimate problem is not with the police but with people in all job categories who see black skin and immediately assume the worst. Police just happen to be the most likely to get away with acting on racist assumptions. Fourteen year old Rochester Hills, Michigan high school student Brennan Walker missed the bus to school. He had to walk. He didn't know the route as well as he thought he did. So he knocked on a door in the neighborhood to ask directions. Well the woman of the house thought that he was trying to break in. She screamed. And the man of the house grabbed his shotgun and shot at young Master Walker. Rochester Hills is about 25 miles north of Detroit and like many southeastern Michigan communities is filled with the kinds of people who aren't too happy about black people breathing the same air they do. Walker is lucky to be alive. I am trying to imagine asking for help and being shot at. That will leave an emotional scar on the young man. People saw him and for no other reason than his race and gender assumed he was a deadly threat at the tender age of fourteen. How will his parents explain that to him? Being Black means you will never get the benefit of the doubt. Period. The walk to school turned terrifying for a Rochester teen who says he was shot at after he stopped to ask for directions. Fourteen-year-old Brennan Walker missed the bus and tried to walk to school, but got lost after he couldn't remember the route.The freshman wasn't hit, as the shot missed him as he ran away. The situation began when Walker's alarm didn't go off. After missing his bus, he thought he could walk the roughly 4 miles to school. Once he became lost, he stopped at a home and knocked. "I knocked on her door a few times and she came down yelling at me before I could say anything and she thought I was trying to break into her house," he says. "I was trying to explain to her that I wanted to get directions to go to my school. I told her no, I go to Rochester High I’m just looking for directions to Rochester High." Walker and his mother, Lisa, say the security video from the home shows the woman then yelled for her husband. "The man of the house came down, pretty much just grabbed the shotgun to shoot at my son," says Lisa Walker. "I saw it. I saw him holding it like this through the window and I guess I put my hand up, I don’t really remember, and I started to run," Brennan Walker says. "I looked back behind me I saw him aiming at me and I turned back. I turned back and I heard the gunshot. And I tried to run faster." The man has been taken into police custody. "If someone is running from your house and chase them outside and shoot at them, you’re going to have criminal charges coming from us," says Oakland County Sheriff Michael Bouchard. Both Walker and his mother believe race was a factor in the incident. "After watching the video and hearing the wife say 'why did these people choose my house' I knew it was racially motivated. I don't know what other these people she could possible have been talking about. He was by himself," Lisa Walker says. Rochester Hills — A homeowner faces up to life in prison after being charged with firing a shotgun blast at a lost teen the man feared was breaking into his house. 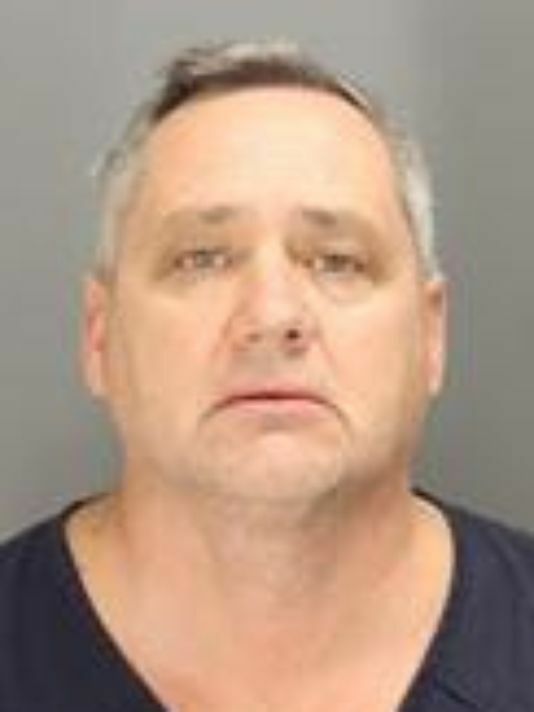 Jeffery C. Zeigler, 53, was charged with assault with intent to murder and possession of a firearm in the commission of a felony in a video arraignment from jail before Rochester Hills District Judge Julie Nicholson. The assault charge can carry a penalty of any term of years up to life in prison and the firearm offense carries a mandatory two-year sentence. Collins said Zeigler had a police contact in 2005 involving another non-injury incident involving a firearm but could not provide Nicholson with any specifics.Collins questioned Zeigler’s “candor” and recollection of events leading up to the shooting and said a home surveillance video viewed by investigators revealed his intentions. Zeigler initially told investigators he had tripped when running out of the house and the shotgun accidentally discharged. I live in a semi-rural subdivision with plenty of roundabouts, dead ends, and streets that seem to turn back onto themselves. Sometimes people do get lost. When I have been walking on the street, occasionally some drivers have stopped to asked me directions. Other times various religious proselytizers, environmental advocates, home repair ripoff artists, or political activists of all stripes have knocked on my door and asked me for money or for signatures. Somehow I have refrained from shooting at anyone who asked me directions or knocked on my door. That's because I'm sane. I know that shooting at someone because they knock on your door is not legal or moral. I also don't fall into paroxysms of fear when I see a black male. But Zeigler and his wife are not normal people. Fear and racism are dangerous to living creatures. Racists are literally triggered by black men or boys and less occasionally black women or girls existing where racists don't think they should exist. It's not safe to wait for a ride in a hospital lobby. And it's not safe to knock on a door and ask for help. Zeigler should be sent to prison for a very long time. The only reason to use deadly force is in defense of your life or that of others. Shooting at a scared black child because he made the mistake of knocking on your door doesn't qualify as self-defense. I am happy that Brennan Walker is still alive. His father is overseas making the country safe for the kind of people who would murder his son for knocking on their door. What a country!